Corn – What is it? Corn is a type of cereal grain that originates from Central America and has been grown for over 10,000 years in Southern Mexico. It eventually spread to Europe in 1492 after it was discovered in Cuba by Christopher Columbus, and from there, to the rest of the world. Now, corn is grown across the globe, from some of the driest and most arid regions on earth, to some of the wettest subtropics – a testament to its popularity and versatility. TFG has put together this guide to help you to learn more about this highly-versatile crop. 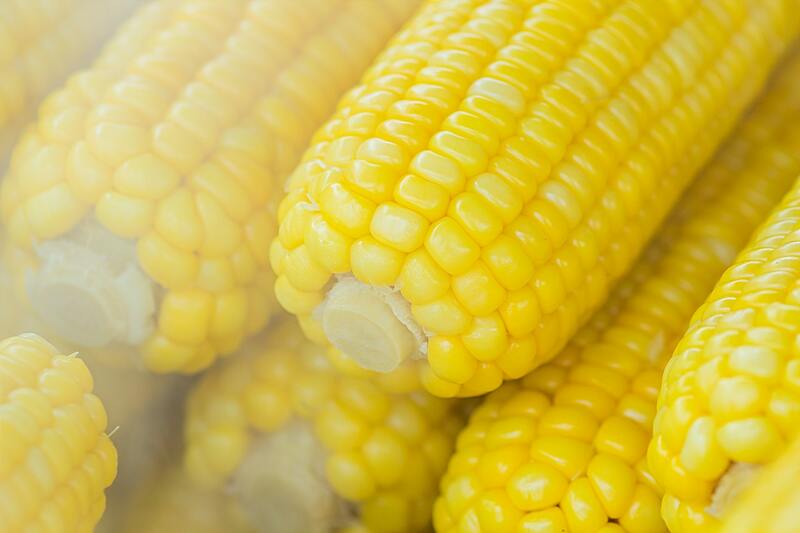 There are six types of corn: sweet corn, popcorn, flour corn, dent corn, flint corn and pod corn. Whilst each of these types has different characteristics and uses, all are grown in a similar way. It starts with the planting of seeds in an inch or two of soil in short rows. It then takes around 5 – 12 days for the seeds to germinate, depending on the type of corn and the temperature of the soil. They then continue to grow and develop leaves and thick stalks, in some cases reaching heights of up to 15 feet. The taste of the corn depends on the stage in which it’s harvested. Corn that is harvest earlier will be sweeter, and corn that is harvested later will have a more starchy interior. Most people know corn as a food; something you put in a salad or eat at the cinema, but its uses extend far beyond just that. In fact, human consumption is a relatively unimportant use of corn. The bulk of corn produced in the US – around two-thirds of it – is used in ethanol fuel or as livestock feed. 95% of the feed grain produced in the US is corn. As the ongoing movement towards the use of environmentally-sustainable materials continues to gain steam, companies are under more pressure to use alternatives to plastic. To achieve this, many businesses have turned to corn-based plastics, which are more environmentally-friendly and cheaper to manufacture. Confectionary items such as candy and soft drinks use high-fructose corn syrup, made from corn starch, as a sweetener. As you can see, corn is all around us. The above constitutes just a small number of ways in which corn is commonly used but there are many more. You can read about them here. It’s corn’s versatility that has made it such a highly investable asset. But what does the market currently look like and where is it heading? TFG has gathered some important information about the corn market to help answer these questions. Corn accounted for nearly half of all global grain production in 2017. This glut in supply limited prices in 2017 and continued to do so into 2018. However, the outlook isn’t all doom and gloom. Corn production is expected to be lower in 2018 and this will reduce the supply. 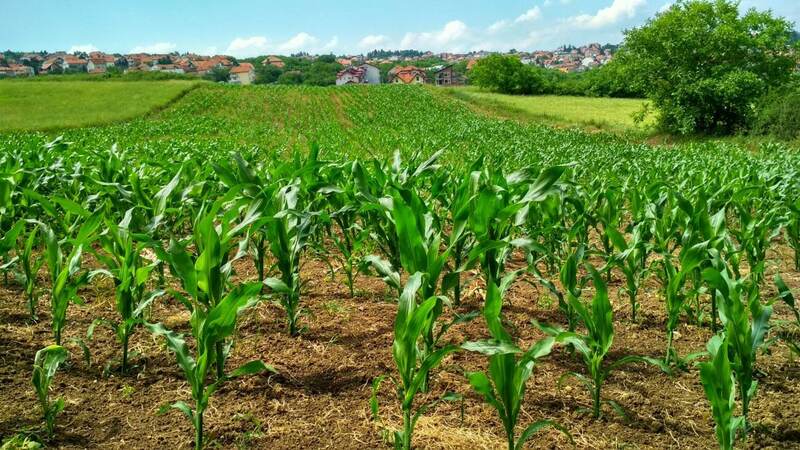 It’s also speculated that there will be an increased demand for corn as a result of low prices and an increasing demand for biofuels. In 2017, China began to roll out its plans to drastically increase its use of ethanol in gasoline in an attempt to move towards cleaner energy sources by 2020. With around 1.4 billion hungry mouths to feed, it’s also possible that there will be an increased demand for livestock feed in China as the country becomes more wealthy and increases its meat consumption. For investors that are willing to bet on Chinese demand, this provides a good incentive to invest in corn. It’s not just China either, biofuel consumption is likely to continue to grow across the globe in the years to come. For a more complete market overview of corn in 2017/18 and 2018/19, see this publication from the USDA. What Drives The Price Of Corn? Ethanol Market Corn is used to produce ethanol. If the demand for ethanol decreases, corn supplies increase. This will likely cause prices to fall. Crude Oil Prices Corn is used in biofuels. The demand for biofuels correlates with the price of crude oil. As crude oil prices rise, so does demand for biofuel and, therefore, corn. Chinese Demand China consumes more energy than any other country. If demand for products made with corn, such as biofuels, increases in China, it will drive up the prices. The Value of the US Dollar Corn prices are quoted in dollars. If the dollar is weak, the price of corn (in dollars) rises. Climate The climate usually heavily influences corn crop yields. If the yields are lower, prices are likely to rise due to the drop in supply. Protectionism and political risk also influence global trade and grain prices. You can read more about thishere. How Is Corn Traded and Financed? There are several ways to invest in corn. Corn trading methods include corn shares, corn CFDs, corn ETFs, Corn Futures, and Corn Options Futures. The Corn Futures contract, which began trading in 1877 at the Chicago Board of Trade, is the world’s largest agricultural futures contract in the world. 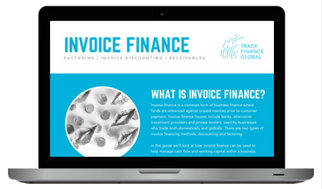 Traders usually use secured financing and receivables finance to grow their trade lines. Receivables financing is an arrangement whereby companies use receivables such as invoices that haven’t yet been paid to receive financing. If you’re more of a visual learner, you might want to watch the video below from CME group. It does a great job of explaining the corn cash market – with a handy animation to illustrate it! Corn is produced in many different countries. The United States is the leading producer of corn, having produced over 370 million metric tons of it in 2017/18. China can claim the runner-up spot with the second largest amount of corn produced in the same year – over 210 million metric tons. Trade Finance Global helps grain traders to grow their company, expand into different jurisdictions, and increase their receivables. Get in touch to find out how we can help you to grow your business. We used TFG’s expert trade and grain team to help us increase our trading lines so that we could trade corn and get better discounts through volume trading.